What’s REALLY Inside McDonald’s French Fries? Let’s face it, no meal at McDonald’s is complete without an order of its delicious fries. And to think, the world-famous french fries were added to the menu only as an afterthought. They replaced plain old potato chips in 1949, nine years after the first-ever McDonald’s opened its doors for business in California. 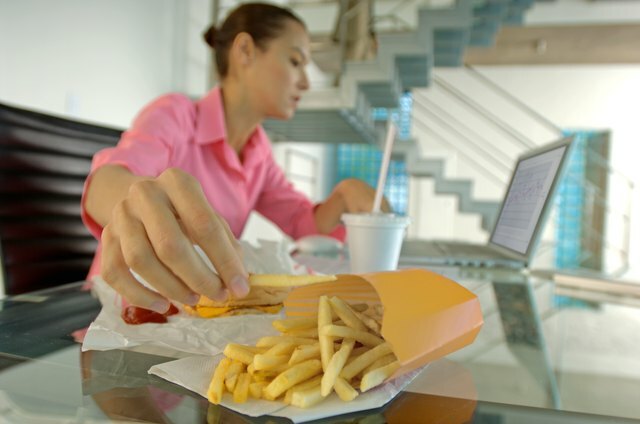 THE DETECTIVE: Dr. Christopher Ochner (a research associate at New York Obesity Nutrition Research Center at St. Luke’s-Roosevelt Hospital Center) is very familiar with the McDonald’s menu. A few years ago, Ochner — who holds a doctorate of clinical psychology — conducted his own “Super Size Me”-type diet experiment: Every day for two months he ate one meal at the fast food restaurant as part of a study. LISTED INGREDIENTS: Potatoes, vegetable oil (canola oil, hydrogenated soybean oil, natural beef flavor [wheat and milk derivatives]*, citric acid [preservative]), dextrose, sodium acid pyrophosphate (to maintain color) and salt. Prepared in Vegetable Oil (Canola Oil, Corn Oil, Soybean Oil, Hydrogenated Soybean Oil) with TBHQ and Citric Acid to preserve freshness of the oil and Dimethylpolysiloxane to reduce oil splatter when cooking. Shockingly enough, these fries are not vegetarian. Are McDonald’s French Fries Vegetarian? No! Head’s up, vegetarians and vegans: There’s natural beef flavor in those fries! Some 50 years ago, McDonald’s cooked its fries in beef fat. 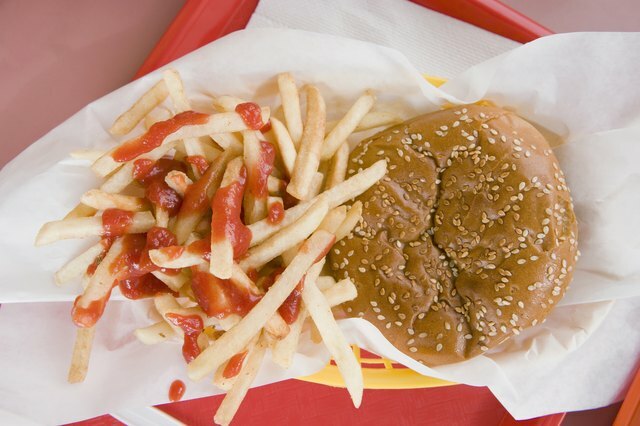 When it switched over to a vegetable oil blend, it didn’t want the fries to lose their famous flavor, so they opted to add natural beef flavor to the blend. Hydrolyzed wheat and hydrolyzed milk are used as starting ingredients of the flavoring. So, shockingly enough, these fries are not vegetarian, nor vegan! And What About the Rest of Those Ingredients? 1. Vegetable Oil (Blend): To make french fries, you have to deep-fry some potatoes, an otherwise healthy carbohydrate, in something fatty and greasy. McDonald’s spuds get dunked in an oil bath twice. According to Ochner, the manufacturers cut and boil them and possibly fry them once before freezing them and shipping them to restaurants, where they are fried again. a) Canola oil: This commonly used cooking oil is generally considered “good for you” when compared to others in its category. It’s hard to tell how much of this particular oil is used versus the less healthy, and even fattier options. Because canola oil is a little pricier, Ochner speculates that McDonald’s probably uses less of the good stuff and more of the others, like corn oil and soybean oil. b) Hydrogenated soybean oil: When regular soybean oil goes through a hydrogenation process, its unsaturated fats become saturated fat, which in turn makes it easier to cook with and helps boost preservation. The downside is the new fat also becomes a trans fat, which has been strongly linked to heart disease. You’d think that the recent nationwide mandatory call for removal of trans fats in all foods would have forced McDonald’s to rethink its recipe. Nope. Ochner says that the FDA’s definition of “zero trans fat per serving” means less than 1 gram per tablespoon, and that McDonald’s found its loophole and still continues to serve a relatively low amount of trans fat in its fries. d) Citric acid: This common preservative is considered safe to ingest, but there’s something disturbing about how it works. If you remember Morgan Spurlock’s alarming 2004 documentary “Super Size Me,” you will recall how McDonald’s fries can last for months without breaking down at all, continuing to look like you bought them yesterday. e) TBHQ (tertiary butylhydroquinone): This super potent preservative, found in a large array of processed foods, is what might be helping citric acid keep long-dead fries from becoming zombies. Though it’s also said to be safe, animal studies have linked it to stomach ulcers and damage to DNA. 2. Dextrose: Another word for sugar, this is third ingredient in McDonald’s french fries, following potatoes and oil. Now why would such a savory food need a dash of sweetness? Well, it’s simple: It makes it taste better and it also increases addiction and cravings. New research shows that the body may convert the sugar found in foods into body fat more easily than it can convert fat found in foods into body fat. 3. 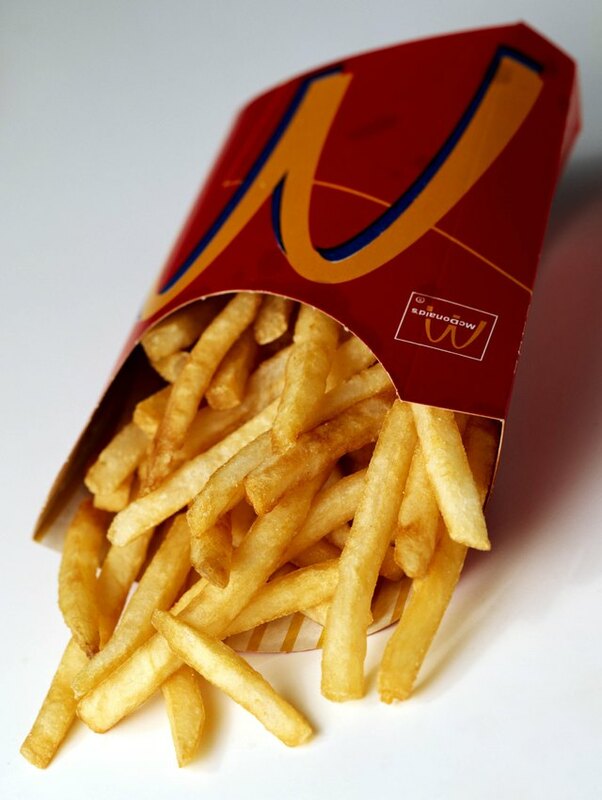 Sodium acid pyrophosphate: This preservative is the reason McDonald’s fries will retain a fresh-looking golden brown color rather than turn black when placed in a jar for two months. Yuck! This same ingredient is often found in commercially prepared cake, pudding, waffle, pancake and muffin mixes, and it is also added to refrigerated dough products, flavored milk, cured meats, potato products and canned fish. 4. 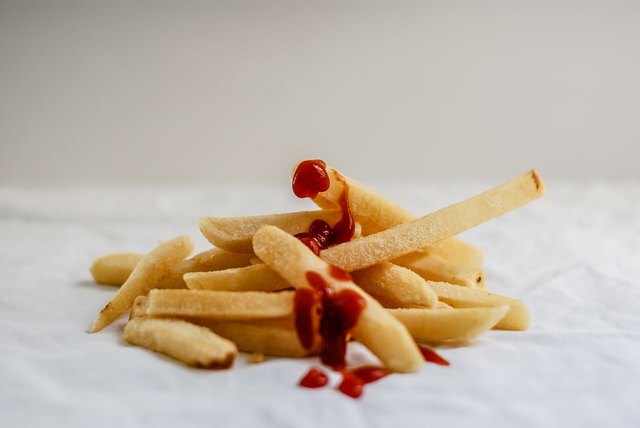 Dimethylpolysiloxane: What’s an anti-foaming agent doing in your fries? Bizarrely enough, this silicone serves a purpose: McDonald’s manufacturers likely add some to the water when boiling the potatoes before frying and freezing them for shipment. This probably helps speed up the process (no foam spilling over) and cuts back on cleanup afterward. There’s no proof that ingesting this stuff is harmful, but why would you want to? So, What’s the Final Verdict on McDonald’s French Fries? THE VERDICT: It all sounds pretty questionable, right? Also, think about how many vegetarians and vegans (and people wanting to avoid eating meat) have unknowingly ingested beef while eating these french fries? Why don’t they simply re-name them “Beefy Fries” or “Beef-Flavored French Fries” for total transparency? THE SENTENCE: McDonald’s french fries contain questionable ingredients and a minimal amount of nutrition (protein, vitamins, minerals and antioxidants). That said, we do understand that some of you might still find the drive-thru siren song of “Do you want fries with that?” tempting to your ears (and to your stomach). Our hope is that this information may nudge you to eat them less often, or perhaps at least convince you to choose the smaller portion of fries. Just by ordering the small versus the large fries, you’ll avoid 270 calories, 14 grams of fat, 2 grams of saturated fat and 34 grams of carbs. And for all the vegetarians out there who have eaten these fries, we hope you’re not too bummed out after reading this. At least now you know!